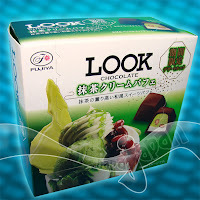 Packaging - This LOOK release is a non-standard size pack. 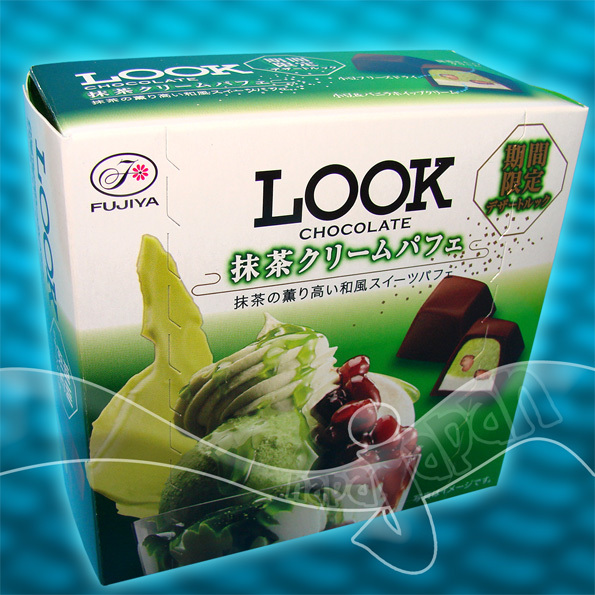 Typically LOOK chocolates are packed loose on a tray within a thin box. The Parfait versions are individually wrapped cubes in a square box that opens from the top for easy sharing. The photo on the box is very glossy and captures all of the flavors stuffed within each chocolate cube. 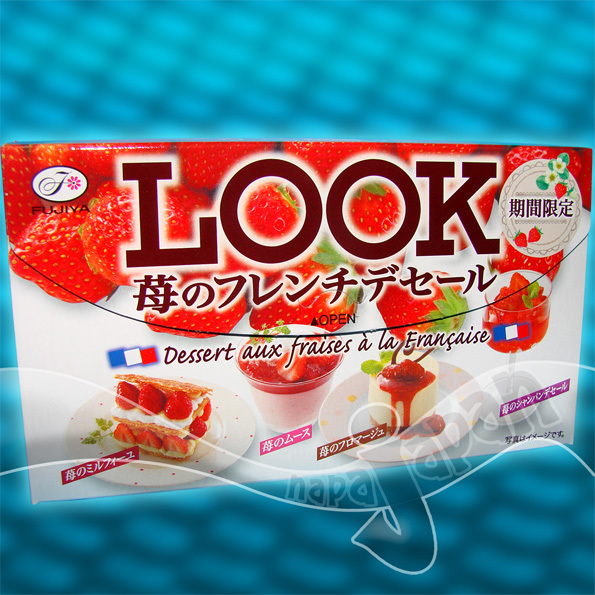 The individual wrappers are a brilliant red color and tear open easily for quick snacking. Box opens from top for easy sharing. At First Glance - The chocolate cubes (actually trapezoids) have a very smooth milk chocolate finish and measure 2 cm at the bottom and 1 cm at the top. They are 1.5 cm tall. The chocolate seems quite delicate as it melted slightly on my fingers after a few seconds. They do have a very nice dessert aroma to them. What's Inside / The Taste - The cross section of these chocolates is quite sophisticated. The top contains an accurate vanilla whip cream filling. Just under that are crunchy sugar coated almonds which remind me of Ferrero Rocher. Under that layer we find a delightful chocolate whip cream with bits of waffle embedded throughout. Fujiya really added a lot of taste into such a small space. I really enjoyed the texture of the crunchy almonds and the vanilla cream made it actually taste like a parfait. The waffle bits were hard to recognize however they did add to the eating experience due to their crispiness. 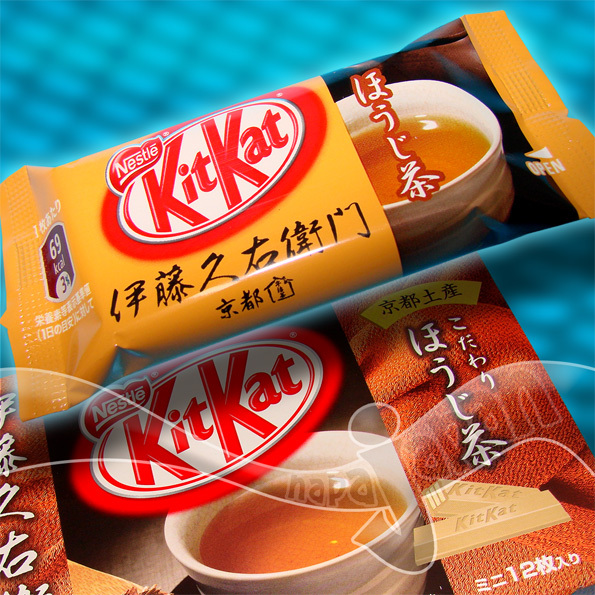 I really enjoy the milk chocolate coating too as it is similar to a chocolate pudding. Maybe that is why it melted so easily. Extra Details - Fujiya is a very old and famous Japanese confectionery company and they offer a vast array of chocolate products. I have even tried their real parfaits at their restaurants and was very impressed. 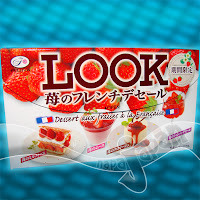 LOOK is a fantastic brand that everyone should try at least once. This parfait version also comes in Green Tea flavor with sweet Azuki bean. 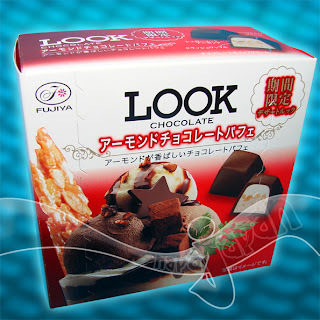 Plus we carry a half dozen flavors of other LOOK products. Check them out! Ten Star rating - 9.5/10 I was extremely satisfied with this product since it captured so many flavors and textures within one cube of chocolate. It was easy to polish off a half box with a cup of coffee. We are back to blogging after a long absence. Despite the recent earthquake and tsunami in Honshu, napaJapan has been operating as normal. There have been some new product release delays but things should be getting back to normal soon. In fact, we will be seeing a lot more stuff in this month (May 2011.) Thank you for your continued business and if you have any product requests or questions feel free to contact us anytime!